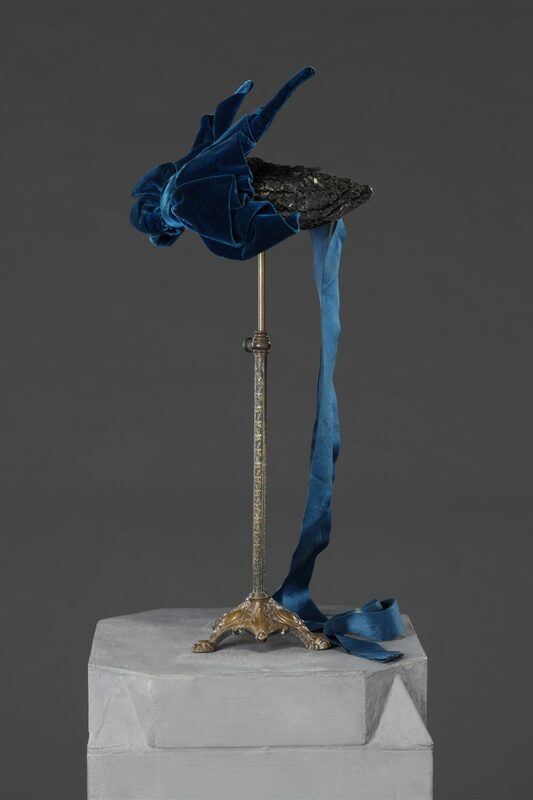 By the early 1890s bonnets had lost the verticality of shape apparent in the 1880s (see Related Item) and were now frequently small shallow curved structures perched on and following the line of the hair. 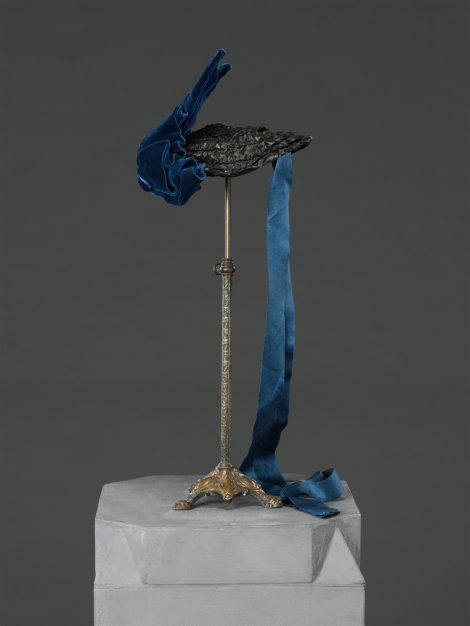 Some sense of height remained in the trimming, as in this example, the ornately folded velvet bow of which simulates the wings of a bird in flight. The ornithological theme continues in the iridescence of the base which is like that of a bird’s feather. Although it appears to be constructed of coarse straw it is in fact made of woven strips of heavily dressed fabric. 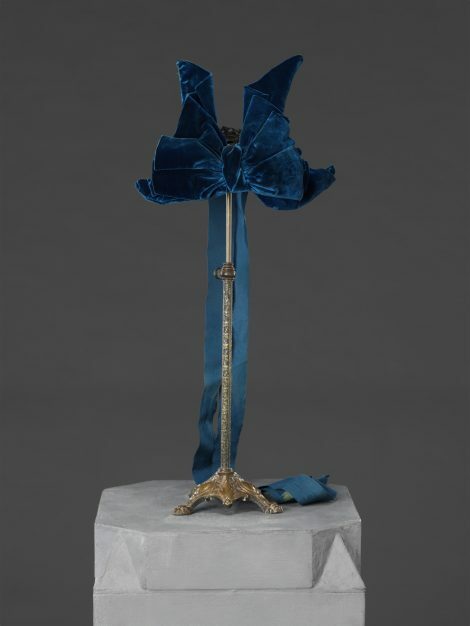 The ribbon ties, matching the colour of the velvet, have become narrower than those of 1880s bonnets, and are attached well to the back. Caroline Reboux was the most renowned milliner working in Paris from 1865, when she opened her business, until her death in 1927. Her elegant and affluent customers included the Empress Eugenie and Princess Pauline von Metternich. The business continued until 1956 with clients including Marlene Dietrich and Wallis Simpson.